90% of the info on the Internet are texts. It’s quite logical that designers need to have a good basis when forming the look of written information on websites they create. There are lots of typography-based designs where font is the key element. That’s because devs have an opportunity to play with different types of fonts, thus create fascinating effects with Photoshop and CSS. Choosing appropriate font can be really difficult; it involves lots of creativity and precision. Fonts should ‘organize published material’ so that visitors will not feel uncomfortable reading texts on your site. Otherwise you will not be able to get their attention and achieve the goal. Therefore, if you want to apply professional fonts for your designs that would be a great idea, but only if those fonts were created with much skill and professionalism. Choosing the right typography will make site’s appearance look well and adequate. 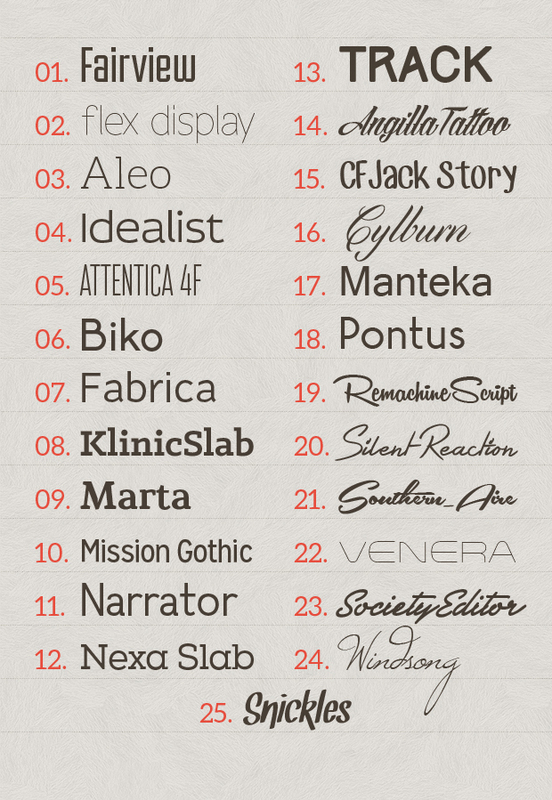 So, in this post we’ve collected examples of successful fonts for your inspiration. Each and every item from this list is absolutely free. 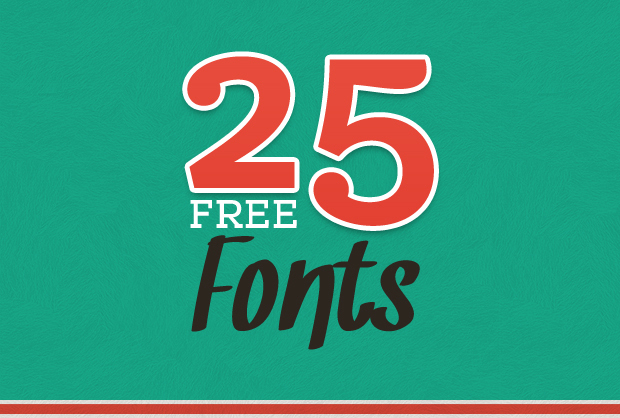 Under the image you’ll see the list of numbers where you can download your preferable font.